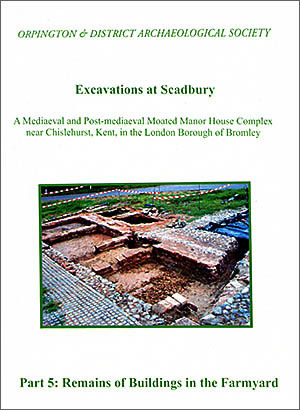 To purchase any of these publications by mail order (UK only), please complete the Publications Order Form and send it to: ODAS, 28 Church Avenue, Sidcup DA14 6BU, enclosing a cheque payable to Orpington and District Archaeological Society. 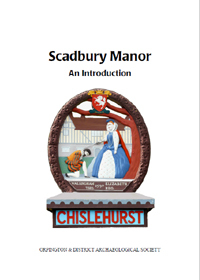 Scadbury Manor by Alan Hart and Stephen Archer. 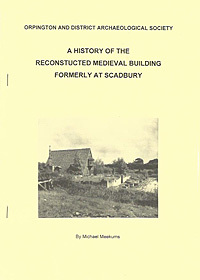 A booklet containing a wealth of information about the history and archaeology of this interesting ruined moated manor, the former home of the Walsingham family. 16 pp., 5 illustrations. A5 Booklet. Revised 2016. Price £1 plus 93p postage. 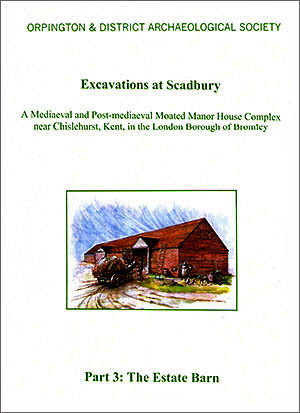 Excavations at Scadbury by Alan Hart. 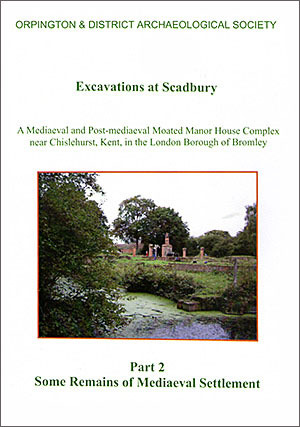 A series of reports on the long-term ODAS excavations of the moated site and its environs. All in full colour with illustrations and photographs. Part 1: Excavations near the Island Wall. A trench alongside the massive island retaining wall revealed evidence on its dating and method of construction. 28pp., 12 figures, 2 photographs, one in colour. A4 perfect. ISBN 0-9539385-0-6, published 2000. Price £3.00 plus £1.24p postage. Part 2: Some Remains of Mediaeval Settlement. 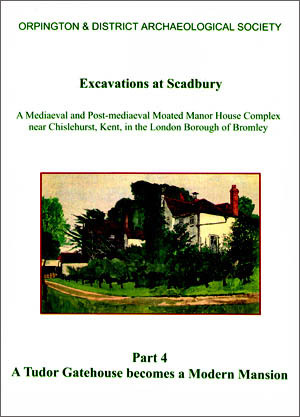 Extensive report on excavations on the moated island. Report on seeds by John Giorgi. 48pp illustrated, 20 figures, A4 perfect. ISBN 0-9539385-6-5, published 2011. Price £3.00 plus £1.24p postage. Part 3: The Estate Barn. Outside the north-western corner of the moat, excavation revealed the foundations of a large 16th century barn and enabled a virtual reconstruction. With finds reports. 20pp., 9 figures, 12 photographs, some in colour. A4 perfect. ISBN 0-9539385-7-3, published 2003. Price £2.50 plus £1.24p postage. Part 4: A Tudor Gatehouse becomes a Modern Mansion. 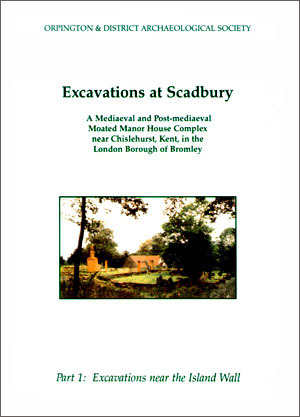 Excavation of the site, west of the moat, of the mansion of the Marsham-Townshend family, which was burnt in 1976 and demolished, showed that the building had a substantial Tudor origin. With finds reports. 24pp., 6 figures, 18 photographs, some in colour. A4 perfect. ISBN 0-9539385-9-X, published 2008. Price £2.50 plus £1.24p postage. Part 4 mentions the Early English Sundial which is featured by the BBC history website (see links page). Part 5: Remains of Buildings in the Farmyard. Excavation 100m west of the moat revealed foundations of buildings including Tudor privies and late Victorian pig sties. With finds reports. 20pp., 7 figures, 10 photographs, some in colour. A4 perfect. ISBN 0-9539385-8-1, published 2005. Price £2.50 plus £1.24p postage. 11 pp. Stapled A4, card covers. Price: £2.50 plus 93p postage. 11 pp. Stapled A4, card covers. Price: £2 plus 93p postage.